Abstracts will be accepted via the on-line submission form only. Deadline for submissions is January 21, by noon. You will be informed on or around February 4, 2019, if you should prepare your abstract as an oral or poster presentation. Please submit the abstract as a Word document, using Arial 11 pt. font. Include your name as part of the file name (i.e., Johnson-Mary-Abstract.doc). The effects of marigolds on men on the moon. Jones J, Smith RF, Parker G.
Abstract should not exceed one page or approximately 350 words. Upload the file using the online submission form, and clicking the “Attach Abstract” button. Check the appropriate box on the submission form to indicate if the presenting author is a graduate student, resident, clinical fellow, research fellow, or other. Each poster will be assigned a number and a poster board location. 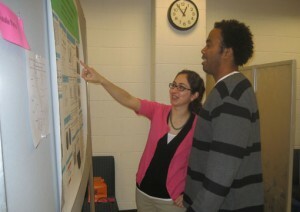 Presenter is responsible for ensuring his/her poster is delivered and affixed to the poster board. Poster set-up begins at 9:00 am on the day of the event. Please have your poster up by 11:45 am. Poster session takes place from 12:15-1:30 pm on the event day. Even numbered posters will be presented from 12:15-12:45 and odd numbers from 12:45-1:15 pm. Presenters should be stationed by their posters and available to discuss them during these times. Posters must be removed by 5:00 pm.